I don't think people are aware how much they are addicted to they cellphones. Cell phone dependance is an addiction like any other. According to the DSM-V (Diagnostic and Statistical Manual of Mental Disorders) excessive use is often associated with a loss of sense of time or a neglect of basic drives. Withdrawal symptoms often include feelings of anger, tension and/or depression when the phone or network is inaccessible. Kevin Holesh, an IOS developer has created a genius app that can help you nudge me in the right direction by automatically tracking your daily iPhone use and giving you a warning when you're on it for too long. work," I'd tell myself, "I'm an iOS developer after all." I was right: I did need my phone, but only during work hours. "What if some emergency happens" or "what if I get a text" or "it only takes a second to respond to this SnapChat" are all excuses I've used to justify bringing my iPhone to bed with me. Now, I make do with only 40 minutes on my iPhone, and I basically work on my iPhone for a living. I don't need to be constantly checking Twitter, Reddit, and my RSS feeds after 5pm. And forget about email! 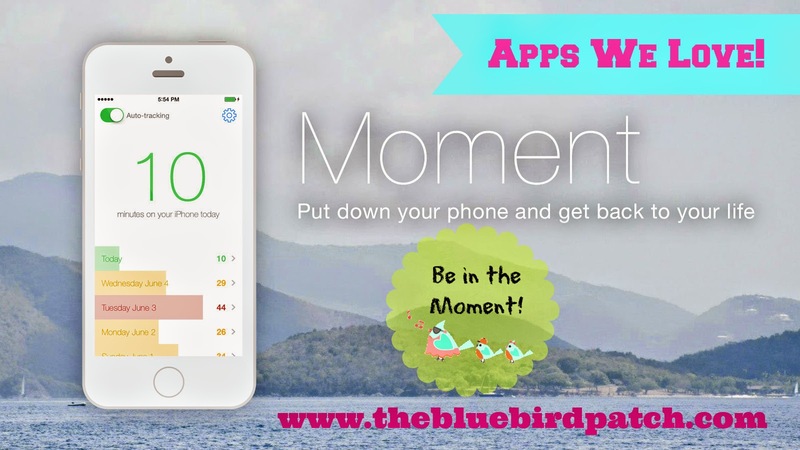 Moment is an iOS app that automatically tracks how much you use your phone each day. If you're using your phone too much, you can set daily limits on yourself and be notified when you go over. You can also set occasional nudges as gentle taps on your shoulder saying "Hey, you're halfway to your daily limit already and it's only 11 AM." Moment is designed to be invisible. Moment isn't meant to actively be used. That would defeat the point of the app. Once you set it up, you won't ever have to open the app again. It will happily track your phone use in the background and give you a warning if you go over your daily limit. Moment's goal is to promote balance in your life. Some time on your phone, some time off of it enjoying your loving family and friends around you. Everyone has a different balance and Moment will help you find yours.